The bench said the material presented by the Central Bureau of Investigation before Governor Rao could not be converted into credible fresh evidence against Chavan. MUMBAI: The Bombay High Court today quashed the sanction accorded by Maharashtra Governor Ch Vidyasagar Rao to the CBI to prosecute Ashok Chavan in the Adarsh housing scam, in a relief to the Congress leader who had to quit as chief minister after he was implicated in the corruption case. Responding to the court verdict that held that the sanction cannot be "sustained", Chavan said the Governor's office has been saved from setting a "new precedent." Chavan, currently the president of Maharashtra unit of the Congress, had served as the chief minister between December 2008 and November 2010 before he was asked to step down over corruption charges in the Adarsh scam. The scam kicked up a huge political storm and was highlighted by the BJP in the 2014 Lok Sabha poll campaign. The court was hearing a petition filed by Chavan challenging a decision of Governor Rao granting sanction to the Central Bureau of Investigation (CBI) to prosecute him in the Adarsh housing society scam in which he was implicated that led to his resignation as cheif minister. Mumbai Congress president Sanjay Nirupam claimed that like 2G, Adarsh was never a scam and alleged that it was a ploy of the BJP to malign his party. The CBI had proceeded with the case against Chavan after Governor Rao granted the agency a sanction in February 2016 to prosecute the former chief minister for offences of criminal conspiracy, and cheating under relevant sections of the Indian Penal Code, and under various provisions of the Prevention of Corruption Act. Maintaining that the allegations against him were baseless and without any proof, the former chief minister said the court order reaffirms his faith in the judiciary. "The HC order reaffirms my faith in the judiciary. I am satisfied. The state governor had given the sanction to prosecute me overruling the decision of his predecessor. With today's court decision, the governor's office has been saved from setting a new precedent," Chavan told reporters. He said he had always maintained that the case against him was "politically motivated." 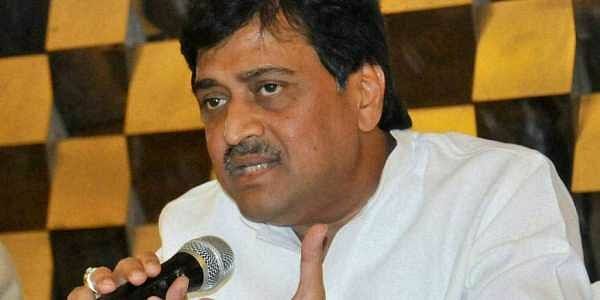 Chavan said the court order came because the allegations against him were "baseless and without any proof". "I suffered personal damage in the last seven years because of the charges against me. I had to quit as the chief minister. But, I am involved in my party work. I am thankful to the people in my constituency for standing by me." He also said the BJP should not indulge in the politics of vendetta at a personal level.